About the Professional Flight Centre IFR System! Our IFR Division specializes in advanced flight training and concentrates on the Instrument Rating, Multi-Engine Rating, Single-Engine Instrument Rating, Helicopter Instrument Rating and the Airline Transport Pilot License. We have designed a simple yet comprehensive program that anyone can master providing the required effort is given. We have developed an IFR Course Manual which takes you through the Instrument Rating start to finish in a simple and logical progression. This manual forms the basis of our training syllabus. 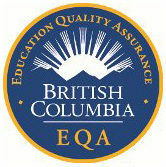 Standardized professional training has been the key to our success. We have written a similar training manual for Multi-Engine training. Originally under the name of Professional IFR, we commenced business as a Multi-IFR school only in 1986 and have completed well over 6000 Instrument Ratings since our inception. Our main base of operations is located at Boundary Bay Airport and we operate a “satellite base” in Victoria BC, at Victoria International Airport. Training delays due to weather are minimum as we are authorized to train in “actual” instrument meteorological conditions (IMC). It is very beneficial that the candidate see some “cloud time” while doing the instrument rating. 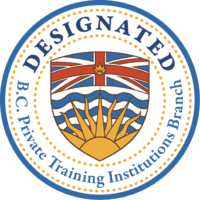 Professional Flight Centre does recurrent and initial Instrument Training for over twenty commercial operations and corporate flight departments in the Vancouver and Victoria areas. We have an excellent rapport with many of the local commercial operators and some make it a policy to hire only Pro IFR graduates. We are recognized as “the” place to train if you want to learn to fly IFR “right”. Our interactive seminar programs are legendary. We offer three day weekend IFR and ATPL Seminars, one day IFR Refresher Seminars, Crew Resource Management (CRM) Seminars, GPS/RNAV Seminars; Multi-Engine Seminars, Meteorology Seminars, and have some others “in the works”. Students, both experienced and ab-initio love these interactive seminars as we have a way of making learning interesting and “fun”. We offer complimentary “second sittings” on these courses while on the training program to help you solidify the knowledge. There is a great deal to learn and students have found this opportunity to sit in again really helps. I am glad to offer you this opportunity because your success is our success. Although our emphasis is dedicated to professional training, we promote a relaxed atmosphere and firmly believe that your training should be a positive experience. You will truly enjoy your time with Professional Flight Centre. We love what we do and it shows. We are Canada’s number one advanced flight training operation and are extremely proud of the job that we do. Professional Flight Centre has “set the standard” in IFR training in Canada. Our standardized program is the key. All of our ground, simulator, and flight training follows the syllabus as laid out in our IFR Course Manual. This manual ensures standardization in your training and makes completing the Instrument Rating a simple and enjoyable learning experience. You will be taught the same “Pro IFR System” no matter who the instructor is. This systematic approach will allow you to fly effective IFR no matter where on the globe you choose to operate. We make extensive use of our full motion RedBird twin engine flight simulators and train you to flight test standard in the simulator before we commence the flight training portion. We have found this to be the most efficient and cost effective way to train. Comprehensive pre and post ground briefings accompany all of our simulator and aircraft training sessions. Our aircraft of choice is one of our 3 Twin engine Beech Duchess aircraft, which are equipped with an excellent modern avionics package of GPS; HSI; RMI; and DME. The candidate must hold a Private Licence. A dual cross-country of at least 100 nautical miles, under simulated or actual IFR conditions must be completed. How fast can I get it done? Training is at the student’s pace and convenience. The course will take 4-6 weeks if full time and 2 months if part time (3-2 lessons a week). Scroll down for minimum requirements and cost estimates for obtaining a Group 1 (Conventional Multi Engine) with Professional Flight Centre. NOTE: All prices are in Canadian Dollars ($CAD). For conversion rates to your local currency click here. NOTE: These prices do not include applicable taxes & fuel surcharges. The above estimate is based on Transport Canada minimums, any additional training required to meet standards will be billed at the applicable rate. All prices are in Canadian Dollars ($CAD). For conversion rates to your local currency click here.